Alex Edelman/Getty ImagesSenator Bernie Sanders. Senator Bernie Sanders congratulated Amazon CEO Jeff Bezos for “doing exactly the right thing” by raising Amazon’s minimum wage to $US15. He also praised Bezos for indicating support for raising the federal minimum wage, which is currently $US7.25. Senator Bernie Sanders has congratulated Jeff Bezos for raising Amazon’s minimum wage to $US15. On Tuesday, Amazon announced it was raising its minimum wage to $US15, more than double the federal minimum wage of $US7.25. The change will come into effect on November 1. The senator had more warm words for Bezos beyond raising wages at his own firm. “Further, Mr. Bezos has indicated his support for raising the national minimum wage. 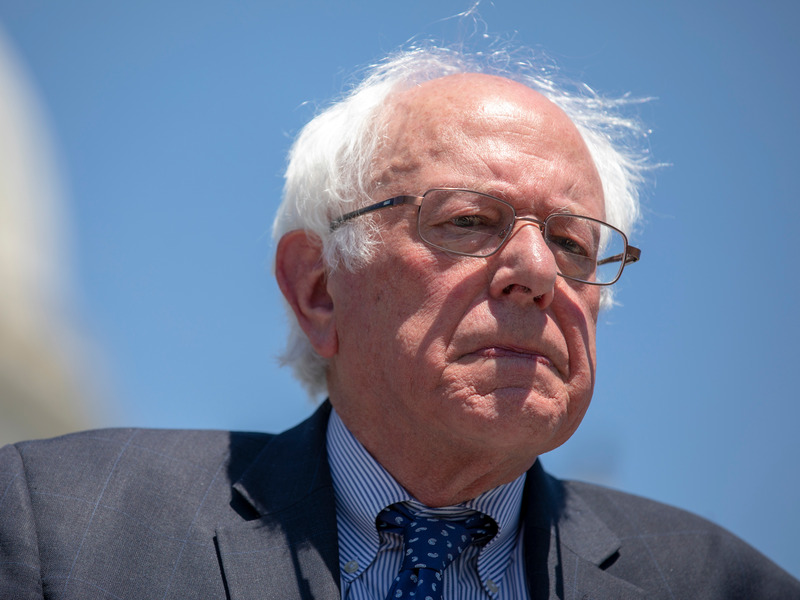 And as someone who has introduced the $US15 an hour federal minimum wage, I very much look forward to working with him in this area,” Sanders said. He has been a virulent critic of Amazon and Bezos in recent months over pay and working conditions. He even introduced a bill called “Stop BEZOS” in September. Sanders thanked the “many hundreds of Amazon workers” who contacted his office to help his campaign. He added that Amazon’s decision should encourage other companies to take similar action. “What Mr Bezos has done today is not only enormously important for Amazon’s hundreds of thousands of employees. It could well be, and I think it will be, a shot heard around the world,” he said.